The cadre at TDSA Tulsa consists of Municipal, State and Federal Law Enforcement personnel. We are competition shooters and have had the privilege of training some of the finest people in the country. Our students have consisted of people from the US Secret Service, FBI, DEA, Force Recon Marines, US Army, Naval Special Warfare Center, Air Force SERE Instructors, Security Forces Outfits, Oklahoma Highway Patrol, numerous different law enforcement agencies, professional competitive shooters, IDPA and USPSA competitors and firearms instructors from several different agencies. We have proven ourselves on the range and in the classroom and challenge any organization to match what we do for our students. No other cadre in the country will treat you with the respect that we do. No one can compete with the level of performance we see in our students. When you stop learning, you deny yourself the opportunity to grow. If you think you’re good enough, you aren’t! Check your ego at the door and come train with us. You won’t be sorry! Marshall has been in law enforcement for 23 years. 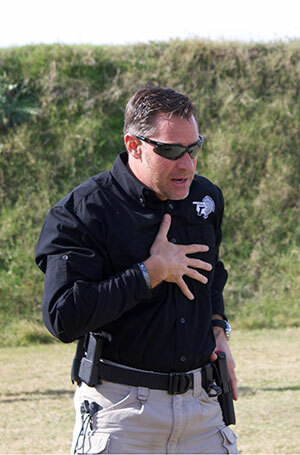 He has owned and successfully operated The Defensive Shooting Academy since 2000 and has assembled the finest instructor cadre in the industry. Together they are responsible for curriculum development and currently have 14 courses that are recognized by the Oklahoma Council on Law Enforcement Education and Training (C.L.E.E.T.). He is a C.L.E.E.T. certified rifle, shotgun and pistol instructor and has received thousands of hours of training through various organizations and instructors. Over the last 2 decades TDSA has trained countless numbers of police officers, military personnel and civilians. Marshall is a life member of the National Rifle Association and a former NRA Law Enforcement Firearms Instructor for pistol and shotgun. 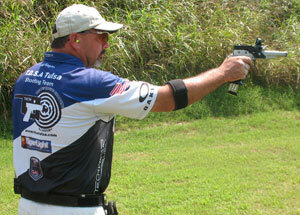 He is an accomplished competition shooter in both IDPA and USPSA. 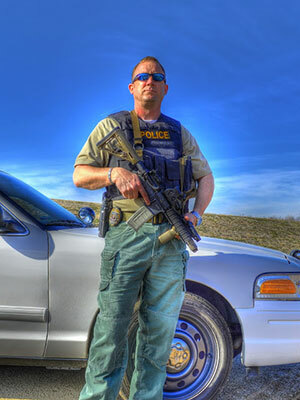 He is an NRA Carry Guard Distinguished Graduate and holds an Advanced Certificate from Bill Rogers Shooting School. He is a Master class SSP shooter in IDPA and an A class Production Shooter in USPSA. He has won 5 State Championships, 4 Regional Championships and loves to train and produce top-notch shooters and teachers. He credits the success of TDSA to his instructors and lives to serve God and country. Full-time US Dept of Energy Instructor working and training in excess of 40 hours per week. Wackenhut Services Inc./U.S. Department of Energy, Office of Secure Transportation, Training and Logistics Center December 2003 – Present. (Former) Lead P.T.I.U.F. (Physical Training and Intermittent Use of Force) Instructor Responsibilities include daily training of Agent Candidates in use of force. Specifically in areas of grappling, striking skills, handcuffing, baton etc. Subsequent responsibilities include physical training with a mixture of old and new ideas as related to strength and conditioning, health and welfare. 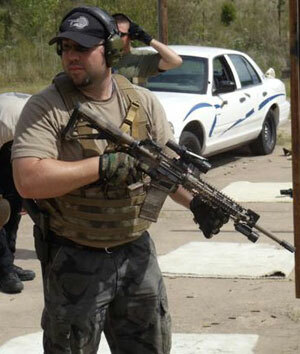 (Current) Senior Firearms Instructor for U.S. Federal agency specializing in counter terrorism operations. Basic / Advanced Firearms training for Federal Agents ensuring a high degree of proficiency and preparedness in the organization of several hundred agents. Instructed over four hundred Federal Agents on intermediate use of force receiving numerous accolades from students, peers, and supervisors. Developed and implemented training programs for advanced marksmanship for close quarter combat, squad live fire movement in urban terrain and shooting at and from moving vehicles. Participated in the development and implementation of Opposing Forces plans during 10 separate Operational Readiness Training Exercises, providing realistic training scenarios for Federal Agents engaged in National Security Operations. Trained 2nd Platoon US Marines from 3D FAST Company (Fleet Anti-Terrorism Security Team) in the use and tactical employment of various sniper systems. I have trained over 5000 officers, civilians and military personnel in the use of firearms in both basic and advanced pistol, shotgun and rifle courses. Assisted in development and implementation of the Police Urban Rifle Course that is taught by T.D.S.A. and the Oklahoma Highway Patrol. F.B.I., D.E.A., Tulsa Police SWAT team members, Oklahoma Highway Patrol, Alabama State Police, Norman Police and Edmond Police. 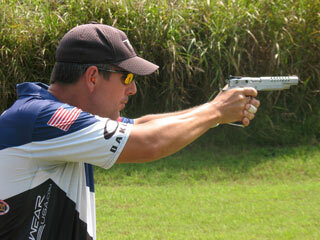 2008 Obtained Master class ranking in United States Practical Shooting Association’s (USPSA) Production Division. 2007 2nd Place at USPSA National Championships “A” Class (ranked 24th overall in the Nation). 2007 1st Place Double Tap Championships “A” Class Production Division 3rd Overall! 2006 Certificate of Appreciation from John F. Kennedy Special Warfare Center from Special Forces Commanding Officer, Nestor A. Sadler Fort Bragg N.C. In the last 15 years IDPA has watched the talent and skill level involved in the shooting sports steadily increase. Because of this continued trend and at the request of the membership IDPA has decided to add a new classification above our existing Master class. This new classification will be known as Distinguished Master. 1st Master Arkansas State IDPA CDP Div. Law Enforcement Officer - 8 years. Sergeant for Skiatook Police Dept. Top Gun Award from CLEET Firearms Instructor School. First Place 2006 AR state match SSP Sharpshooter, High LE and High Industry. 2nd place 2006 IDPA Nationals, SSP Sharpshooter. 4th place, 2006 OK state IDPA, SSP Sharpshooter. 2nd place, 2008 OK state IDPA, ESP Expert. 2nd Place 2009 OK Badlands, SSP Expert. 2009 - 1st Place NRA Tactical Police Competition San Antonio, Texas. Jeremy has been training with TDSA since 2007. 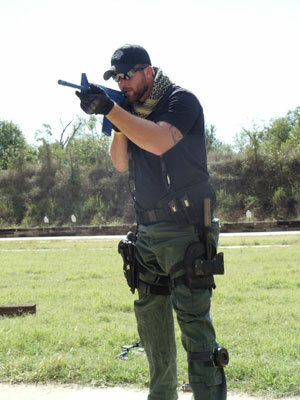 He earned his instructor certification with TDSA in 2010 after demonstrating his devotion and dedication to excellence. He is a reserve Drumright police officer and is on their SWAT team. 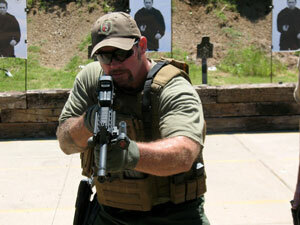 He studies Sayoc Kali, Jujitsu, hand to hand tactics and trains religiously on his rifle, shotgun and pistol platforms. 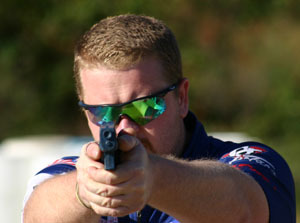 He is a member of the International Defensive Pistol Association and is currently ranked Expert in Stock Service Pistol. Over 150 CLEET-accredited hours training with TDSA Tulsa. Over 3 years of Instructor Development and Training with TDSA Tulsa. Additional training with Komondor (Protective Services, Counter Assault Team, and Medical) and Sonny Puzikas (AK-47, Pistol, and Edge Weapons). 3rd Degree Black Belt in Kyokushin-kai Karate by way of American Bushido-Kai Karate Association (ABKA). Additional training in several other disciplines including ancient and modern weapons/self-defense tools. Kelly Raglin is a force when it comes to competition shooting. He is an avid 3-Gun shooter and has been shooting for more than 17 years. He began his training with the late Steve Broom back in 2000 and has trained with Team T.D.S.A. for the last several years. Kelly has shown remarkable improvement with each passing year and continues to dominate matches every time he shows up. As one of Team T.D.S.A.’s professional and sponsored shooters he travels all over the country shooting U.S.P.S.A., I.D.P.A. and Multi-gun matches. He is an accomplished pistol, rifle and shotgun shooter and has attained a Master ranking in U.S.P.S.A.’s Production, Single Stack and Open Divisions. Kelly is currently an A class U.S.P.S.A. shooter in Limited and Limited 10 Divisions and usually shoots in the open division at matches. In I.D.P.A. 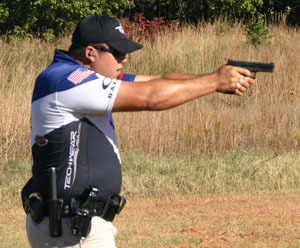 Kelly holds a Master ranking in the Enhanced Service Pistol division. USPSA Oklahoma Open Division State Champion! USPSA Oklahoma Production State Champion and 2nd overall!